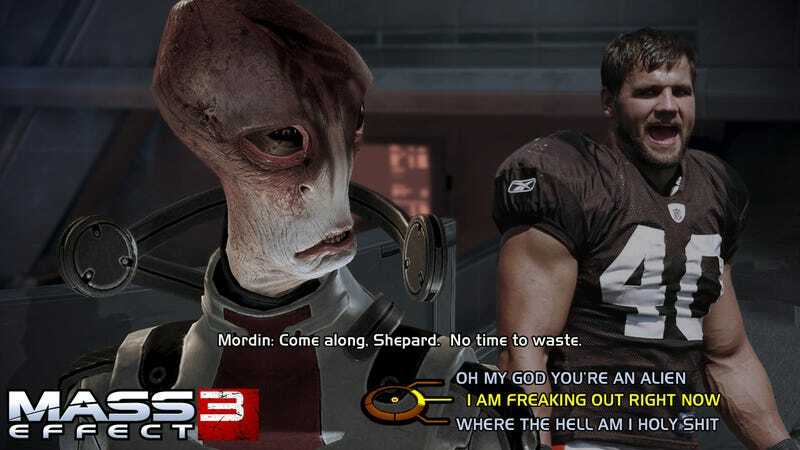 Retailer Sends Copies of Madden Instead of Mass Effect 3. Whoops. Sounds like "some" customers of online retailer Newegg who pre-ordered a copy of Mass Effect 3 didn't get what they paid for. They got a game, delivered on time, only it was...Madden 12. We're contacting you today regarding your recent purchase of the Mass Effect 3 Xbox 360 game. It appears there may have been an error when fulfilling and shipping your order. We've received reports that some customers may have received Madden NFL 2012 Xbox 360 instead of the intended product. To correct this error, a Customer Service Representative will be contacting you at the phone number provided by you within your account to arrange an advanced replacement, if necessary. The Representative will also arrange an RMA with a prepaid return shipping label. Please note that when arranging advanced returns, we do require a credit card number to be on file in the event the originally-shipped product is not returned. Please expect this call within the next 2 to 3 business days; of course, you may contact Newegg customer support earlier as well if you wish. We deeply apologize for any inconvenience this may have caused. As a courtesy, your advanced replacement game will be shipped via overnight delivery at no additional cost to you in the hope that you receive your game as quickly as possible. Reasonable enough, I guess, though some compensation would have been nice for those who will be spending the weekend without the game they'd paid to be spending the weekend with. Reader Albert was one of those affected, and rather than get down about it, he decided to kill some time in PhotoShop instead, sending in the above image. Which, given my Mordin is actually dead, has actually bummed me right out.